Press Release – Canada’s agriculture and food sector has been identified as a key area poised for significant growth and export opportunities. With a world population of nine billion estimated by 2050, significant investments are being made in Ontario to meet the global demand for food. 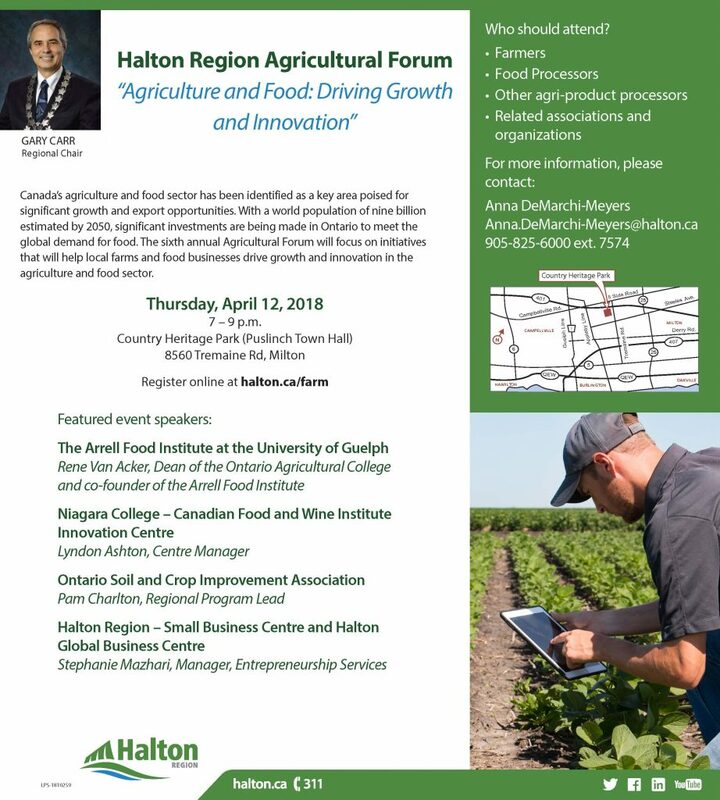 The sixth annual Halton Agricultural Forum will focus on initiatives that will help local farms and food businesses drive growth and innovation in the agriculture and food sector. Thursday, April 12, 2018, 7 – 9 p.m.